Hearing a child speak for the first time is one of the landmark moments no mother forgets. 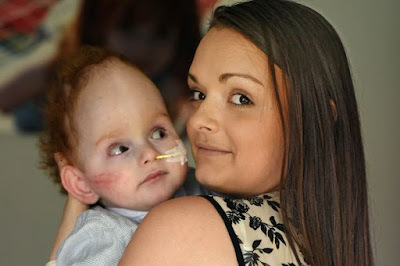 "When Aaron was first born, I was told there was no way he could survive. I was told he might live for three minutes, three hours or three days. The doctors told me if it had been any of his other organs which had failed to grow, they would have been able to do something but they couldn't grow him another brain. But right from the very beginning, Aaron proved he is a real fighter. The other day I was saying 'Mummy' to him. I was clapping my hands and he was giggling away. He looked at me, and said 'Mummy' back. I couldn't believe it. I'd been told my son would only live for a few minutes, but now here he was saying 'Mummy' - something I never thought I would ever hear." Just minutes after he arrived into the world, doctors told Emma Aaron had a very rare health condition called holoprosencephaly, which they said left him "incompatible with life". Born with only a brain stem and not a full brain, Emma was told to invite her closest family to the hospital to meet her newborn boy before he passed away. Aaron was born in March 2013 after Emma was rushed to hospital with what she thought was a burst appendix. 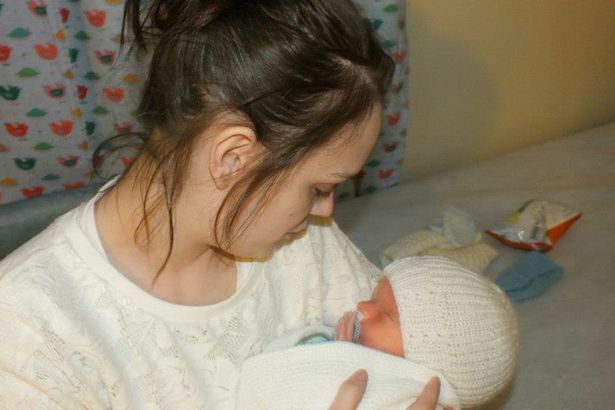 She didn't know she was pregnant until she was in labour. 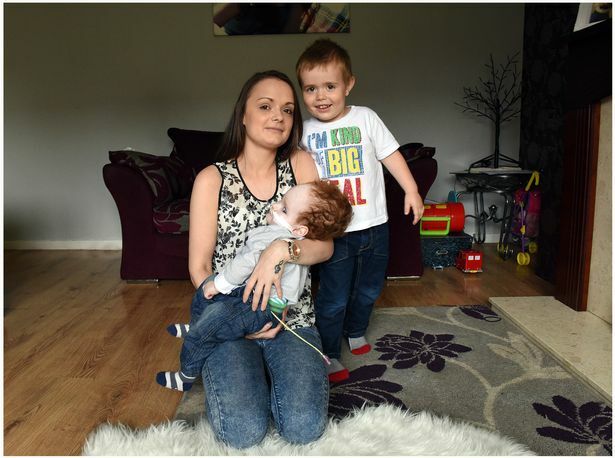 She was later transferred by ambulance to Wishaw General Hospital where staff quickly realised her unborn baby had a larger head than most infants. As soon as he was born he was rushed to the neo-natal unit. 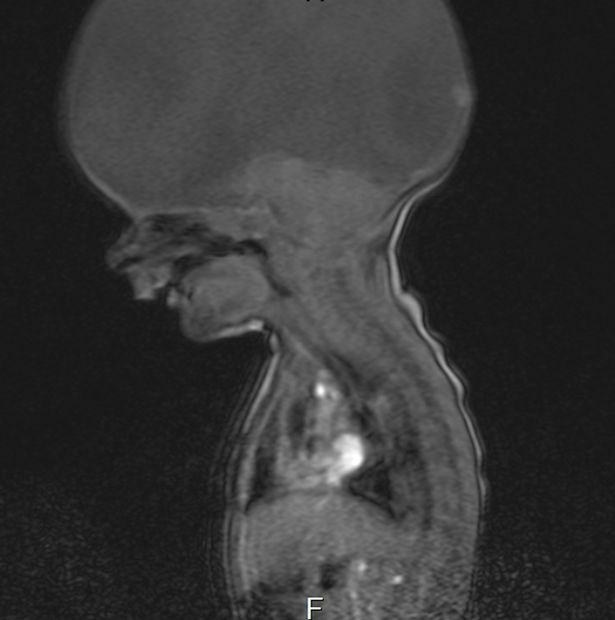 It was then a scan revealed Aaron's brain had not formed properly. He only had a stem and not a full brain. It was an incredibly emotional moment for mum Emma. "I was absolutely heartbroken. He was hooked up to every machine and had a hat over his head so we couldn't see the size of it. I just sat by his cot rubbing his little hand. I was in total shock. Everything had happened so fast – I didn't even know I was pregnant , I'd given birth and been told my baby was going to die all in the same 24 hours." Hospital staff helped Emma organise a baptism for Aaron, but within hours his condition started to improve and they realised he could even breathe unaided. And more than two years on, Aaron is not only alive but has utttered his first word - ''Mummy". While Aaron can't walk or support himself and no one knows what vision he has, his family say he is very cuddly and tactile. He has managed to survive with no brain because he has some brain stem, so it helps him to breathe and carry out basic functions. Holoprosencephaly is a birth defect affecting the brain which occurs in approximately two in 10,000 births.